And it's now emerging that the shooter may have been obsessed with the Columbine Massacre school shooters who took the lives of 13 people in 1999 in a suburb of Boulder, Colorado. Wednesday's Crimean school shooter, Vladislav Roslyakov, is depicted to the far right. Left is 1999 Colombine massacre shooter Eric Harris. 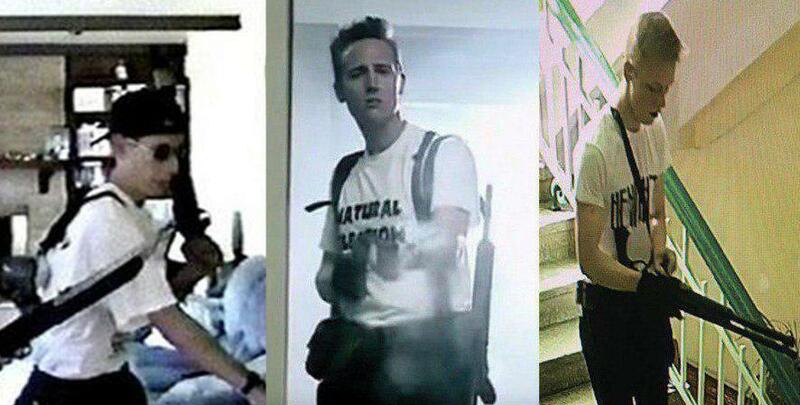 Crimean shooter Rolyakov was apparently imitating Eric Harris with his white shirt and shotgun as shown in the unconfirmed social media photos of Wednesday's attack. According to RT, "It turned out that little more than one month ago, on September 8, Roslyakov had received a permit for a 12 caliber rifle." The report continues, "He bought 150 rounds of ammunition for the weapon just a few days before he would walk onto his college campus and murder 19 people." Russia's official Investigative Committee had previously referenced a "terror attack" after an on the ground investigation that uncovered evidence of an improvised explosive device packed with shrapnel which had been reportedly detonated in the cafeteria of the tech college (in Russia a "college" indicates a secondary school, or high school). Though officials initially said an "unidentified explosive device" detonated, they now say all the victims died of gunshot wounds. A number witnesses accounts appearing described a gruesome scene "bodies everywhere" - most of them students: “There was a blast and then the shooting…we started jumping out of the windows… children’s bodies were lying all over the place,” one student recalled of the horror. 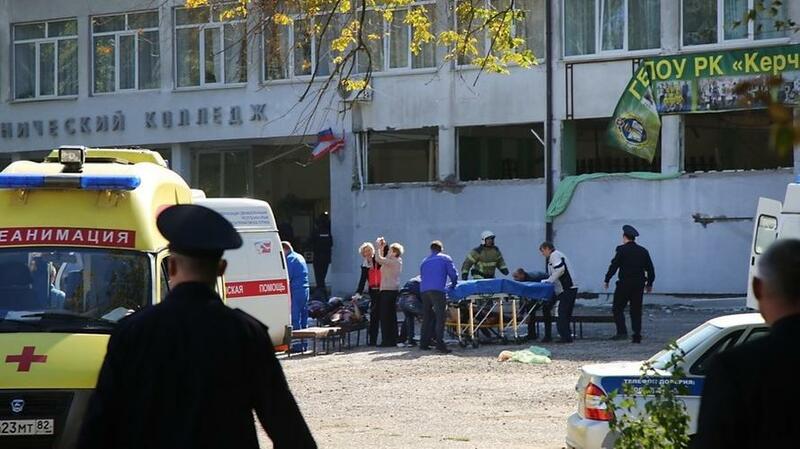 Hours after the explosion, Investigate Committee officials told Russia's Sputnik news that "an unidentified explosive device filled with metal objects detonated in a cafeteria at a tech college in Kerch." Only one man responsible for the shooting was found, but in the panic and confusion of the moment, people believed they saw more than one killer. Investigators haven't ruled out there may be more. Armored troop transport vehicles and Russian military personnel were quickly on the scene as reports of a "terror attack" in progress had spread. “Five minutes after I left, some people burst in. They blew up the lobby, all the windows were shattered.... Like in Beslan! I would have been dead by now because they shot dead all my people, children and the staff… I don’t know,” the college director told local media.